Tickets: 5 500 HUF, includes a tasting card in 5 000 HUF value and organic snacks by Házikó Catering. Cultivini Wine Gallery, a modern wine shop and tasting room in Párizsi utca near Váci Street organizes a unique event where you can taste a wide range of “natural Hungarian wines”. You can to discover 20+ organic and biodynamic wines together with the wine makers if you arrive on time, between 15.00 – 17.00. ! 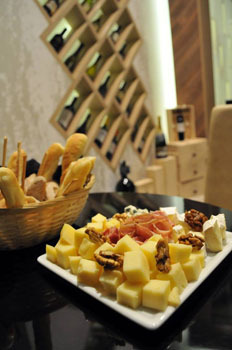 ou taste and answer any questions about the wines in a cozy & elegant environment. Please contact us to reserve a place due to limited availability! CultiVini opened in summer 2015 in a small street just off the famous pedestrian shopping street Váci utca in downtown Budapest (easily accessible either by public transport or walk) and offers 150+ Hungarian wines to taste and buy – from all the 22 wine regions (Szekszárd, Villány, Tokaj, Eger, Balaton region etc.). You can access and taste bottles by the most prestigious wine makers but less known, top quality wines by the new generation are also available. 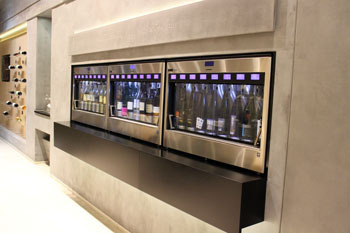 You can have just a sip or half a glass if you like, from the state-of-the-art wine serving machines that preserve the quality of wines for weeks. Nice contemporary interior, welcoming, helpful staff and wine experts ensure a one-of-a-kind tasting experience and an opportunity to learn about Hungarian wines and wine makers. Both individuals and groups are welcome. The wine gallery is an ideal place for special occasions, company events. You can also reserve a tasting with snacks (Hungarian tapas plate, cheeses, salamis, sausages) complete with sommelier guiding. You can find out more about CultiVini Wine Gallery and Shop here.